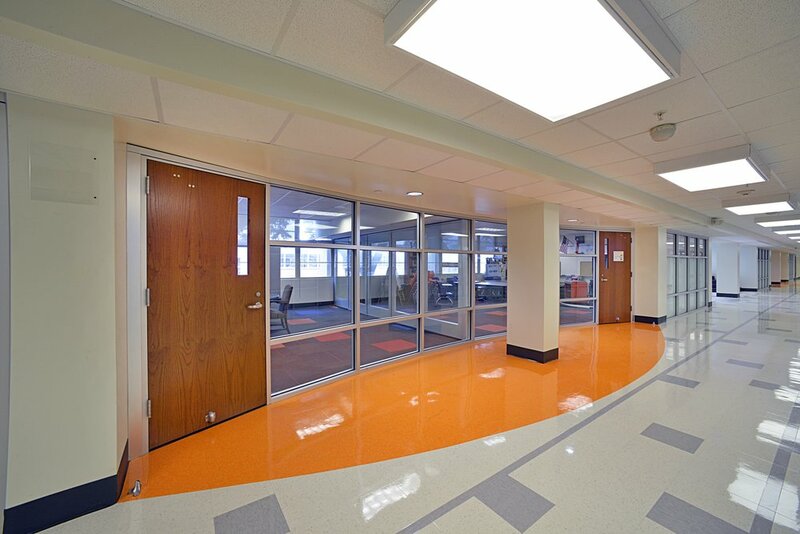 On the William Cabell Elementary School project, part of the 2008 DISD bond package, we were involved in the complete conversion of all classrooms to a “high tech look, dual teaching classroom, personalized learning center concept” with technology integration, new casework, all new finishes, and new glass classroom entrances to all classrooms. 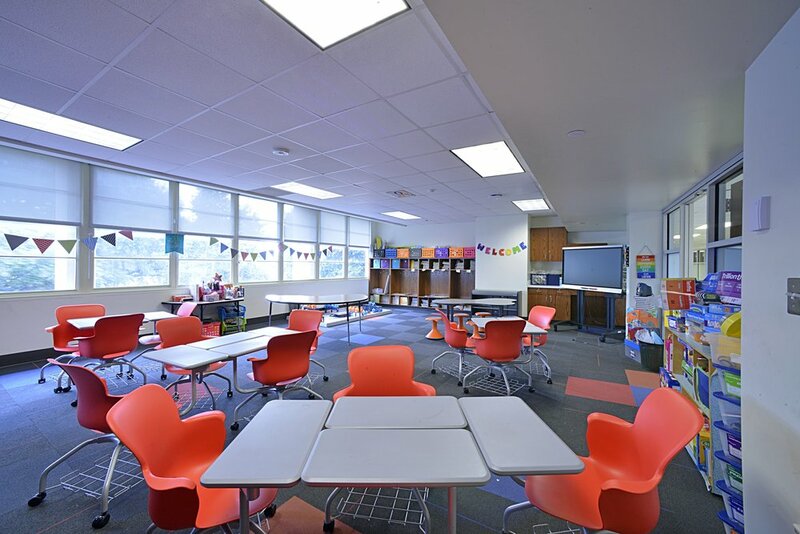 This not only dramatically modernized the mid-century modern building, bringing it into the twenty-first century, but also readied it for STEM learning. 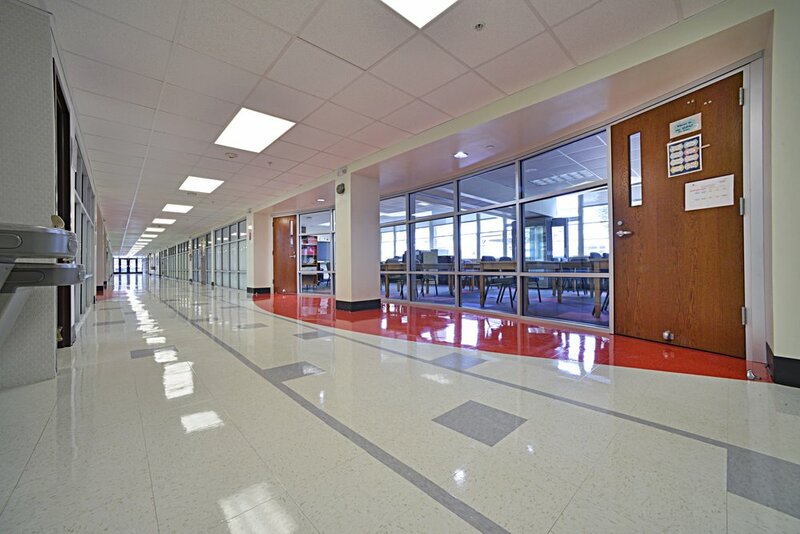 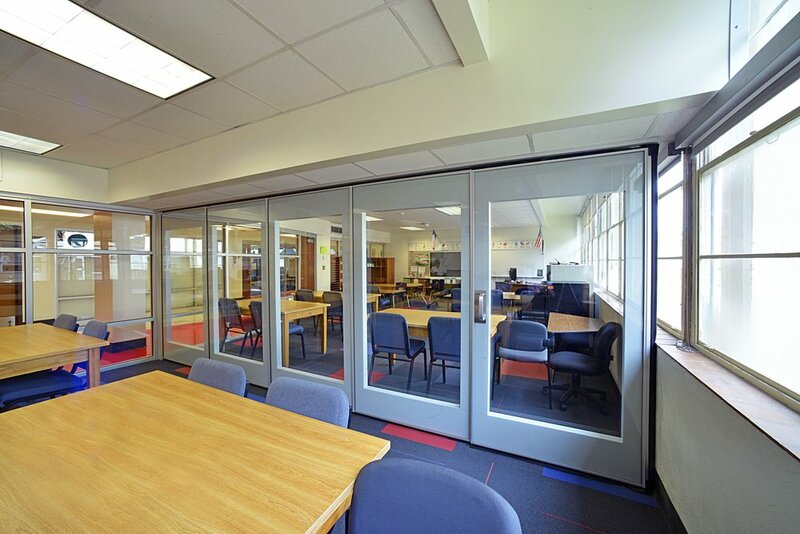 For Cabell, we also renovated their Administration Suite and library which included a custom stained glass wall, greatly expanding learning space. 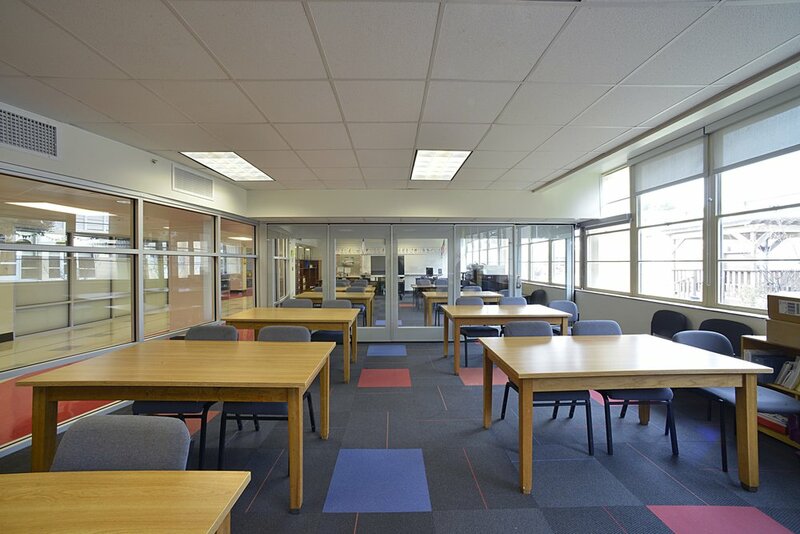 The stained glass wall is floor to ceiling, tying in both the hallway and the reading area into one congruent, light-filled space.